Planning a trip to a holy dham (place of Lord Krishna's pastimes)? As you may know—or can see in our Holy Places section, there are many, many places of pilgrimage to choose from. Here we list some of the major ones—with links to ISKCON temples there—and info on the nuts and bolts of travel, accommodations, and dining. Traveling to Vrindavan, India—info on everything from traveling to Vrindavan from abroad, to where to stay in Vrindavan, getting around in the Vraja (Vrindavan) area, health care, service you can do in Vrindavan, safety tips, and filtered water, and more. A Comprehensive Guide to Śrī Vṛndāvana Dhāma—a website true to its name. Here you'll find info on the history of Vrindavan, including: its flora and fauna, a collection of various prayers and quotes about Sri Vrindavan Dhama, background on many of Vrindavan's twelve original forests, along with its many, many places of worship and pilgrimage. If you're interested in visiting Vrindavan in person—or taking an extended, guided virtual tour—this is a great resource. Mayapur, by Taxi, Bus, and Train—Most international travelers to Mayapur arrive either in Kolkata (Calcutta) or Burdwan (Barddhaman). From there, here are some tips on how to get into Mayapur itself. Mayapur Tours—Some package tours now available through the ISKCON Mayapur temple. Other Mayapur Traveler Facilities—including telephone, Internet, Post Office, Banking, Currency Exchange, and (men only) Barber service. ISKCON Juhu Beach is especially a place of pilgrimage for followers of His Divine Grace A.C. Bhaktivedanta Swami Prabhupada. He fought a long, difficult battle to establish a temple there for the Deities of Sri Sri Radha-Rasabihari. 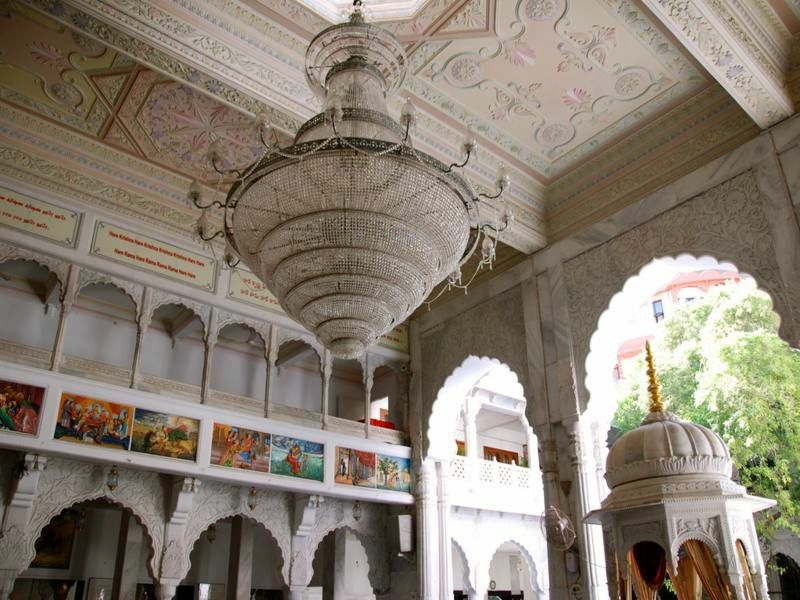 The complex includes a spacious marble temple, a recently renovated auditorium, a huge restaurant and a twin towered seven-story guest house where visitors can stay and participate in the daily spiritual programs of the temple. Travel Assistance—the Travel Desk at ISKCON Juhu: for airport and train station pick-ups drop-offs, train and flight ticket bookings, sightseeing and local guide bookings. How to get there—directions to the Sri Sri Radha-Rasabihari temple from the airport, by train, and by bus. Accommodations—info about the Guest House: rates, availability, amenities.